Arnold Manaaki Wilson (Ngāi Tūhoe), NZOM, was the first Māori fine-arts university graduate, in 1955. 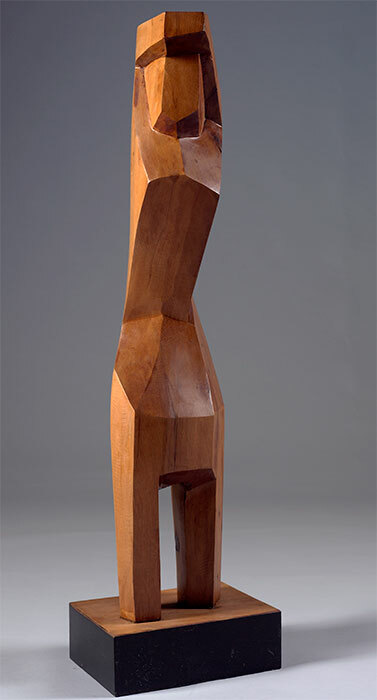 His later work as a sculptor reflected his Māori upbringing while also drawing on the stripped-down forms of early-20th-century European modernism. This 1964 sculpture, a little over a metre tall, is titled 'Woman towelling herself dry'.